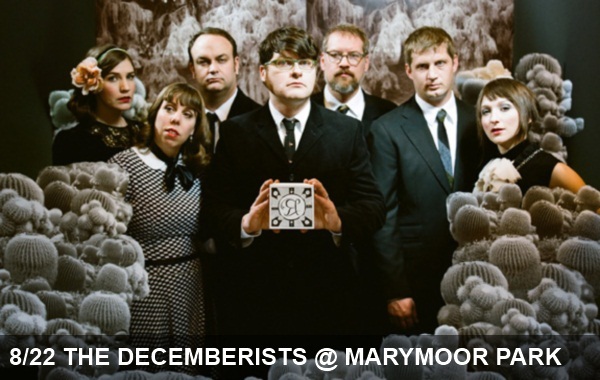 Back again for their annual appearance at Marymoor Park in Redmond, The Decemberists have a new album and a new theatrical repertoire up their sleeves. The group, from neighboring PacNW musical hub Portland, has long been a Seattle favorite, attracting large crowds with their interesting instrumentation, lyrical storytelling and catchy singles. Their shows feel more like an epic musical theater performance rather than a typical indie pop show. Grab a blanket and head to the grassy pastures at Marymoor to enjoy openers (and two of our long-time favorite acts) The Fruit Bats and Okkervil River.